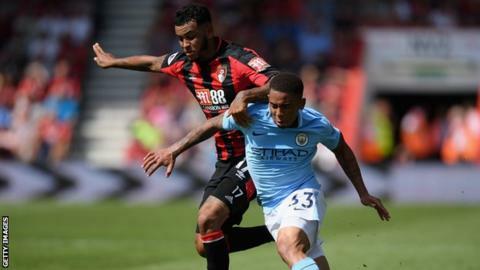 Bournemouth striker Joshua King has signed a new four-year contract with the Premier League club. King, 25, was the Cherries' top scorer last season as they came ninth - the highest finish in their history. His 16 league goals, including 13 between January and May, meant he was linked with Tottenham in the summer. "There was a lot of talk during the summer but I always made it clear I wanted to stay here," the Norway international told the club website. "The future here is bright and I'm really happy that I will be a part of that." Bournemouth chief executive Neill Blake said: "Joshua is the fifth player we have tied down to a new deal this summer and, combined with our four new signings, we can all be excited about the direction this club is heading in." The former Manchester United trainee joined the Cherries from Blackburn for £1m in 2015.